Spring home improvement projects are underway. You know what needs to be done around the house, but do you know what to expect from California rodents? Get the scoop on native rats and mice and how to prevent a rodent problem in California. Warm spring weather is finally here and after being cooped up all winter it’s exciting to get back outdoors! This is a busy time of year for outside projects and sprucing up the exterior of your home. Maybe you have aspirations of planting a garden in the yard, decorating the patio, or re-landscaping around the house. What you don’t want when you’re out enjoying the first warm spring day, is to find that you’re sharing your yard with a nasty rodent! A groundhog or squirrel you can share your lawn with, but large rodents in California can be alarming. Unlike domestic animals, desert rodents have different habits, lifestyles, and present certain dangers. Learn more about rats and mice native to North America and the California region. The Norway rat is large an in charge. Known for its thick tail and long body, this is the rat that’ll make you shriek. Despite the perception that rats are dirty dumpster divers, Norway rats actually are pretty healthy eaters if they have the choice. They love solid food like fresh fruit, fish, and meat. These rodents are native to the United States can be identified by their distinct three-toed tracks. Unlike roof rats, they don’t do much climbing. They will, however, find weak spots in your home’s foundation to weasel their way through. They usually enter at the bottom level and prefer to nest in the basement. 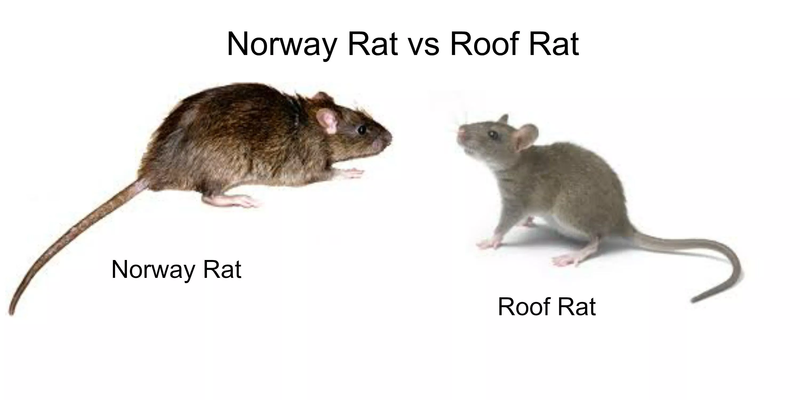 The roof rat is the Norway rat’s smaller counterpart, and is so small that it is often mistaken for a mouse! Fresh veggies, seeds, and nuts are what this little rat loves to eat. Keep your salad out of reach! Surprisingly, their absolute favorite thing to eat is cat food. Your pet cat may be competing for its meal if the food bowl is easily accessible. As its name suggests, the roof rat can be spotted trying to gain access to your home via the roof. These rats are excellent climbers and will scale trees and low hanging branches to reach your home. Once inside, they usually nest in the attic. The house rat (also called a black rat, ship rat, or Rattus rattus) is your typical long-tailed, greasy rodent. House rats are jet black and eat an omnivore diet. They are a big nuisance to farmers because they eat a wide range of agricultural crops. Beware, rat populations can grow rapidly! All three rat species mentioned above will have up to six litters per year! House mice are a dirty gray color with white bellies. Their small, round bodies are only 2.5 to 3.75 inches long, with a 3-4 inch tail. With a classic pointy nose and round ears, these tiny rodents are almost cute, but don’t be fooled they are dangerous! While looking for food sources, they will almost always end up nesting in or near the kitchen. Food and water are their top priority. Their favorite foods include: eat cereal and seeds, nuts and fruits. They have a terrible habit of gnawing electrical wiring, so check all your kitchen appliances to be safe! Holes in the lawn: It is a little known fact that rats are very adept burrowers themselves. They too create holes in the yard from the digging habits. The difference is, a rat will only tunnel about 18 inches below ground level. Their burrowing holes are small and are not as deep, or elaborate as the tunneling systems that gophers and moles create. If you’re planting shrubs or raking up dead leaves and break through shallow, small burrowed holes, you may have spotted your first sign that a rat is in your yard. Gnaw marks: Rats have a habit on gnawing on just about any material they can get their teeth on. They can chew through tough materials- even some concrete! 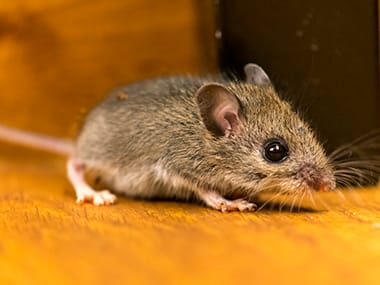 If you spot gnaw marks on your shed, the woodpile, on exterior vents, or other possible home entry access points, there’s a sure sign that a rat is in the yard somewhere. If you’re like most people, you’ve probably stacked your wood pile right up against the house for convenient access. The woodpile will catch and collect rain, giving rats a water source. Rats will wriggle their way into the nooks and crannies of the stacked wood and find a comfortable spot to nest. All the while, they’re checking the exterior of your house that the wood is stacked against for weak spots that they can gnaw through to get in! Be proactive and move your woodpile at least 20 feet away from the house. Contact your local rat control specialists to do a walk through and make sure your home wasn’t compromised! Rat snap trap: It might be called old fashioned, but only because they’ve been around for years and are the original tried and true method of rat control. Catching rats is hard to do but this design is timeless because it works. 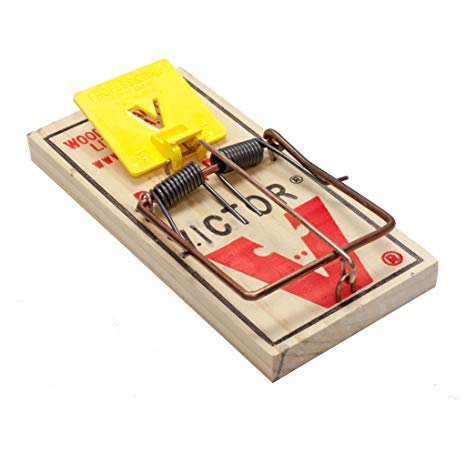 These traps use simple a trigger and snap system resulting in a swift and instant rodent death. A rat snap trap can be used and reused if you really want to get a bang for your buck. Electronic Trap: Does the snap trap feel too harsh? Don’t want to see the sight of a trapped, dead rat? An electronic rat trap may be a better solution for you. An electronic rat trap is a small black box that requires no touching and no visual contact with the rat whatsoever. Their powerful high-voltage shock is deadly. Just one electronic rat trap can tackle multiple rats. How can you tell if the box has done its job? The indicator light on the outside of the bait station can quickly be checked. It will let you know asap if you have caught a rat. Rat Glue Traps: A sticky solution for your sticky situation! Completely safe and effective, glue rat traps are easy to use. The glue surface stops pests in the act and prevents them from escaping back to their hiding spaces. It also gives you the opportunity to humanely release them back to the wild, if you choose to do so. Glue traps don’t traditionally need bait. The sticky surface is already pre-baited to attract the rat. They are also cheap and disposable. Try placing the traps along entry points in the floors and walls where you suspect rodent activity. Rat Repellents: If you are morally opposed to killing the rat in your yard, there’s good news- you can get it to leave by disturbing its environment. Ultrasonic repellents are an excellent alternative to deadly traps because they resonate noise that is excruciating to rats but completely undetectable to people. The repellent causes discomfort and panic for the rat, making them run away. The downside is it’s hard to know for sure if the rat is gone for good. The final step to take this spring is to do a thorough home inspection and seal all possible entry points to keep rodents out! Contact Green Rat Control for more detailed information on their fool-proof process for proactive rat prevention. Contact GRC to learn more today!